Business Opportunities - Crossrail . For information about the Elizabeth line please visit the Transport for London website. The impact of Crossrail on the UK economy and employment has shown that businesses from right around the UK benefitted from work connected to Europe’s largest construction project. People in every region across the UK have helped to deliver the Elizabeth line. During construction the Crossrail project has supported 55,000 jobs all around the UK. It has trained a new generation of engineers in tunnelling, underground construction and railway engineering through its purpose built academy. It has recruited over 1,000 apprentices, injecting new talent into the construction industry. We maintained a supply chain map that was used to monitor the overall distribution of work across the programme. This follows best practice from the London 2012 Olympics. 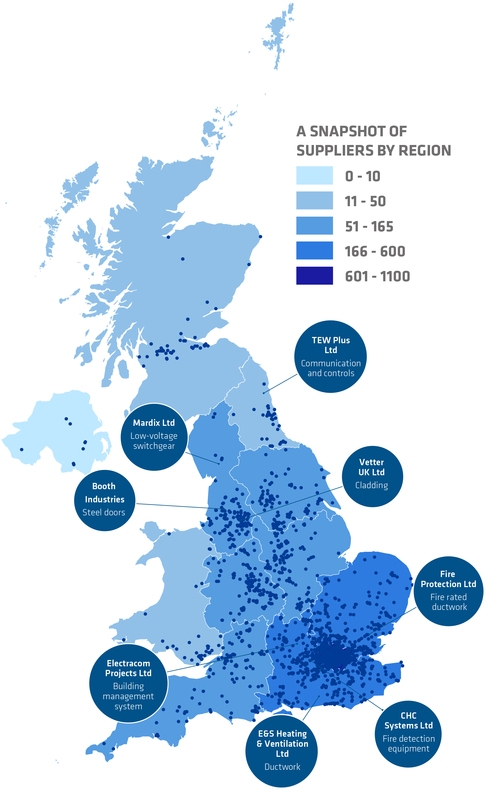 By mapping the geographic distribution of contracts we could demonstrate clearly the economic impact that the Crossrail programme has had on UK business.